With 19-22 games left in the League One season, we’re now into the business end for sides that have hopes for promotion or saving themselves from relegation. Luckily, Swindon gets to look down on most of the division in 5th place but they have plenty of challengers who could possibly pick up on any slip in form. We’re going to look through those already in the playoffs and on the outskirts who could steal a last minute place. 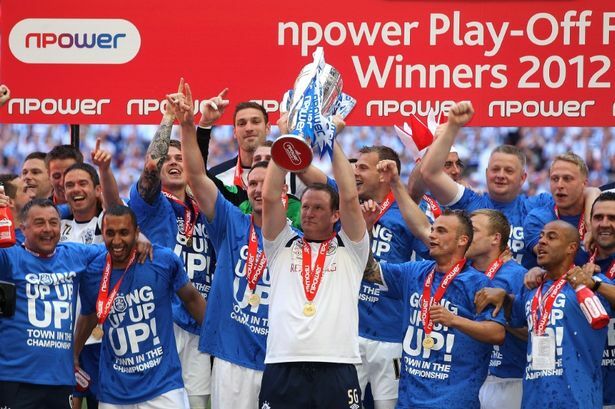 We start with Brentford, a side who have had an outstanding season and currently lie 3rd in League One. Led by Uwe Rosler, who has recently signed a new contract, The Bees have been a surprise package in the league but with names such as former Town Captain Jonathan Douglas along with striker Clayton Donaldson who has 14 goals, it’s not the biggest shock in League One. The table again doesn’t lie as Brentford have only suffered three defeats all season, the last of which was in late October versus joint leaders Doncaster. If it wasn’t for 7 draws away from home in their 13 games, they could easily be top rather than 4 points away. 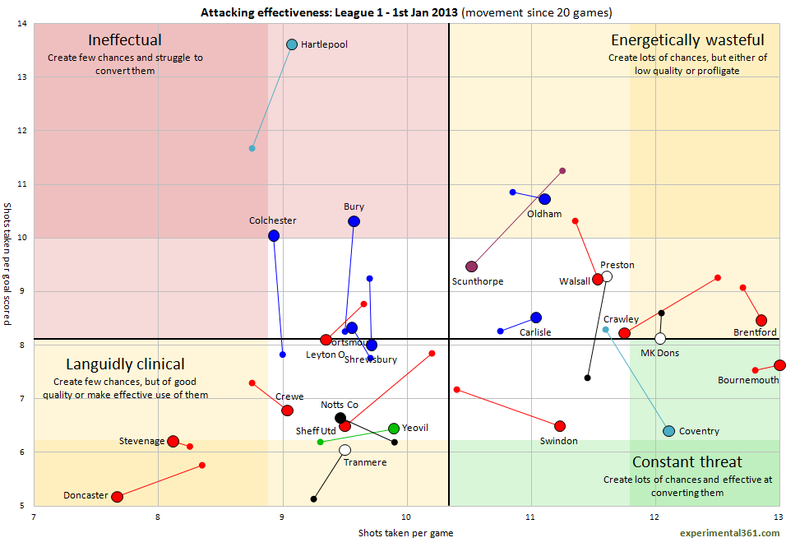 The stats, provided again by Ben Mayhew’s experimental361, show Brentford are an attacking team. They have the second highest average for shots on goal per game but do need 8-9 chances to score which is more than desirable if you wish to be a top two side. The defensive statistics then show they face the 5th joint least amount of shots per game which is handy and it takes their opponents 9-10 shots to score. This backs up their impressive season so far and with the capability of picking up draws when they could lose, that could be the difference in them taking a playoff place. They do however have the joint fewest amount of wins out of any of the top 6 so turn some draws into wins and the top two is possible but playoffs is the likely bet. Up next are the pantomime villains and 6th place MK Dons. Karl Robinson has done a steady job at MK Dons and the playoffs are probably the club’s minimum expectation. They haven’t shouted as loud as others and have quietly gone about their business. After an average start to the season and an awful October, they really came to life in November with 5 wins out of 9, including a 1-0 win over table toppers Tranmere. The basis for MK Dons success is hard to distinguish as neither defence nor attack has flourished but both have done enough of a job. They create a good amount of shots with an average of 12 and score with an average of 8 of those chances. However, they have Ryan Lowe as top scorer with 7 then midfielder Luke Chadwick on 6 just behind him which isn’t enough and will need more goals from their players in the coming months. The defence is kind of opposite to the attack. They don’t do a bad job as they limit their opponents, 3rd best in the league, but they conceded more frequently than any of the others in the top six, which seems to be the difference between them and the rest of the top sides. It’s a small difference but the title and playoffs will be decided by small margins. The Dons will be expecting a playoff place but with the form of other sides and the stand out players that MK Dons lack, a 6th place finish seems like the best they can hope for as they face a battle till the end. Now that we’ve covered the obvious choices in the top 7 over these two blogs, who could be an outside bet for a late push? Firstly a mention for Yeovil Town as they continue to defy the odds in 8th place. They’ve racked up an impressive 13 wins, holding more wins than their weekend opponents Sheffield United after a 2-0 win at Bramall Lane, but lose too many games, 11 out of 27, to consider a playoff spot. The Glovers have scored more than four of the top six but have conceded exactly double the amount of Swindon in 5th. Crawley Town have gone quiet this season and the stats tell a tale of disappointment. 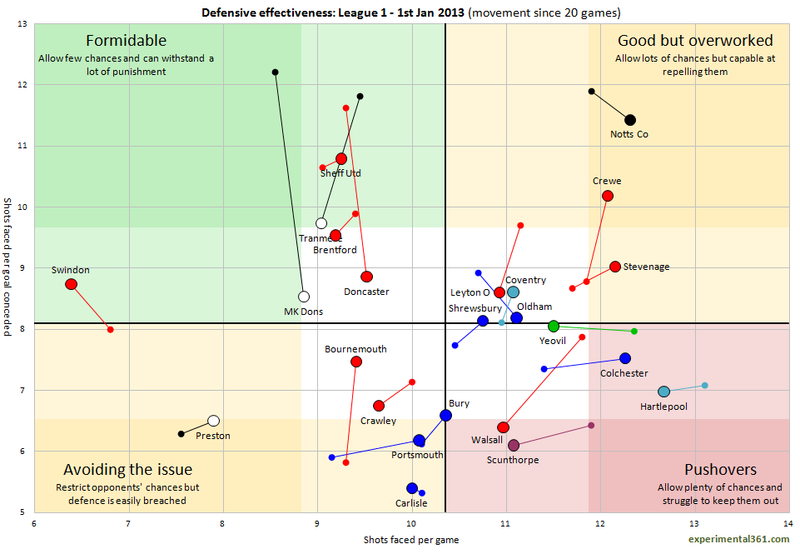 Firstly, it’s a bad thing to concede more than you score and Crawley are 9th with a -3 GD. With the striking options of Gary Alexander, Billy Clarke and John Akinde they don’t score enough goals even though they create just as many as others. The defence is also a tale of what could be as they don’t allow many shots on goal but concede regularly. They are a similar tale to Yeovil, won enough games with 12 out of 27 but lose too many, 10 out of 27, for a coveted playoff spot. My shout for a last minute push, but still unlikely to make the top six, is Coventry City. This may seem obvious with them being one of the bigger clubs but the stats show they’re an improving side. This has mostly been down to them, if you combined shots on goal with shots taken per goal, taking the award for best attacking threat and that was down to the form of top goalscorer with 16 goals David McGoldrick but he’s now ended his loan and gone to Ipswich Town. They’ve signed Leon Clarke to try and replace the hole left by McGoldrick and he did get his first goal for the club in their 1-0 win v Tranmere last night. The Sky Blues will have to wait and see whether it’ll pay off as he’ll get goals but his attitude may become a factor. They do allow a lot of shots on goal with an average of 11-12 per game and concede every 8-9 shots which leaves them amongst the mid table sides in the stats and unsurprisingly is therefore where they currently find themselves. I expect them to have a good finish but without McGoldrick they’ll fall short. To wrap up, this League One promotion race is going to be a fight till the end. Any club in the top seven could win the league as many teams are on form but some will have to settle for the playoffs.